Makilala, Cotabato - The 39th Infantry Battalion has again discovered five High Powered Firearms, a Rifle Grenade and an Improvise Explosive Device to include an NPA terrorist flag at around two o'clock in the afternoon on October 18, 2018, along the road of Purok 5, Barangay Batasan, Makilala, Cotabato. Troops were scouring the road when they discovered an arms cache stashed inside 2 nylon sacks. A concerned citizen reported to 39th IB that there were 3 unidentified persons who scampered away immediately upon noticing the checkpoint operation of the troops together with Makilala Police Station personnel along the road leading to the Barangay Hall. Accordingly, they unloaded the sacks from a green multicab vehicle and immediately left the area. 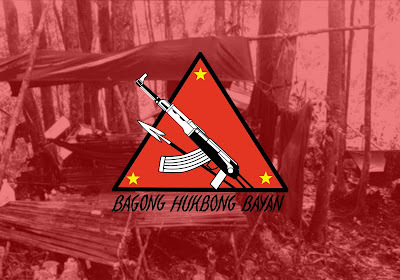 Accordingly, the discovery of the cache indicated that the manpower of the Communist/Terrorist NPA is dwindling. The firearms were apparently kept hoping that terrorist would be able to recruit additional manpower to replace those who surrendered and left the group. Lieutenant Colonel Rhojun P Rosales, Commander of 39th Infantry Battalion, encourages the deceived members of the terrorist group should surrender with these firearms so as to quickly end the insurgency problem of the country. He also warned naive citizens not to hoard these firearms in their possession for they can be charged with illegal possession of firearms and explosives. Likewise, Major General Noel S Clement, Commander 10ID commended troops' untiring efforts in bringing peace to communities within the area of responsibility. MGen Clement also thank the people for their support to 10ID by way of timely and accurate information that led to the discovery of firearms used by CPP-NPA-NDF terrorists in their deceptive, anti-people and anti-development activities.